✻ P O L I S H E D S T O N E P I L L O W S ✻ KAMBABA JASPER. 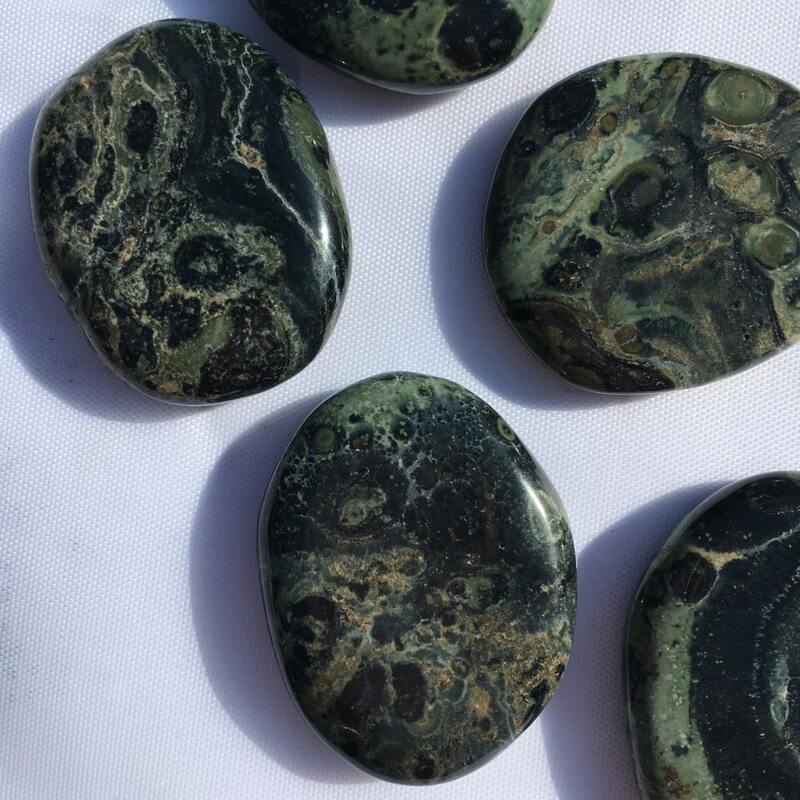 Kambaba Jasper is a powerful physical healer. Protects against negativity. Controls intense passionate nature. Promotes safe traveling. C h a k r a s: All. D i m e n s i o n s: Refer to photo. Compared to USD Quarter. O r i g i n: South Africa. ❥ All tumbled stones vary slightly in color, size, and shape. ❥ This listing is for one piece, intuitively handpicked for you by me!